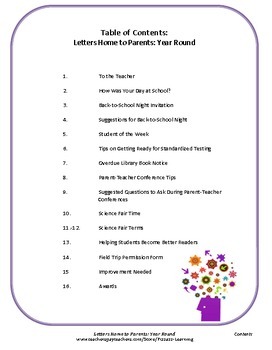 Ready-to-use, practical letters and notes to send home to parents. 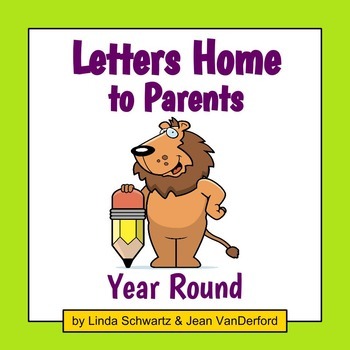 Letters Home to Parents: Year Round is filled with indispensable forms and letters to save you countless hours of work. Most of these ready-to-use letters require only your signature! 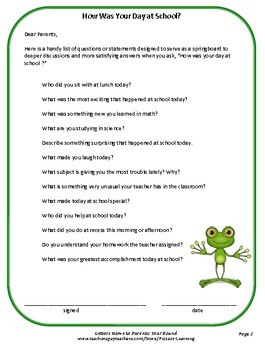 Ideal for promoting home-school communications throughout the school year. 2. How Was Your Day at School? When you purchase this item, rate it to get TpT credits.